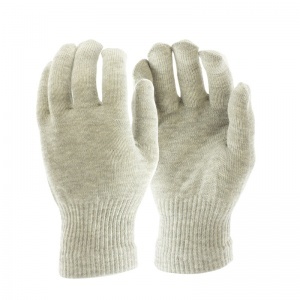 The Raynaud's Disease Fingerless Silver Gloves are perfect If you suffer from Raynaud's Disease or Raynaud's Syndrome. They are seamless and contain 8% silver, which will help to keep the hands warmer and help ward off Raynaud's Disease and Raynaud's Syndrome. Furthermore, the Raynaud's Disease Fingerless Silver Gloves will also help with numbness, tingling and pain which commonly occurs where there is a constant cold. The Raynaud's Disease Fingerless Silver Gloves contain Natural Pure Silver which minimises any radiative body heat loss by actively reflecting 95% of the body’s energy back to the skin. As silver has one of the lowest radiant heat loss rates, the silver contained within the Raynaud's Disease Fingerless Silver Gloves will help keep your hands much warmer when compared to conventional products. 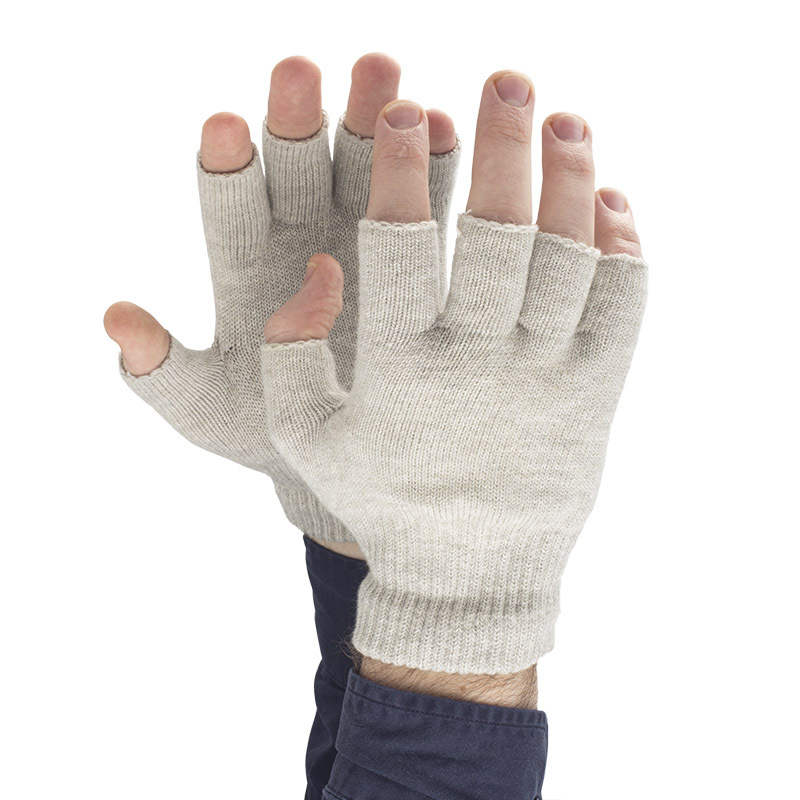 The Raynaud's Disease Fingerless Silver Gloves are ideal for people who require extra dexterity while working or during activities such as arts and crafts, where extra finger control is required. The Raynaud's Disease Fingerless Silver Gloves are tested under DIN EN 61340-5-1 and can be used in electrostatic protected areas. The gloves are totally pollutant free, scientifically tested and Oekotex 100 and CE approved. The medical and security effects described have been proven by many International institutions around the world. 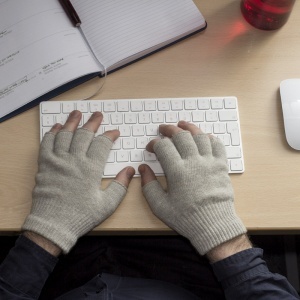 The Raynaud's Disease Fingerless Silver Gloves can be hand washed at up to 30 degrees Celsius. Air dry away from sources of heat. If you are a lady with very large hands, please select the Large/Extra Large size. Similarly, if you are a man with smaller hands, please select the Small/Medium size. These gloves must be hand washed at a maximum of 30 degrees Celcius using normal domestic fabric detergent. Once washed, they can be smoothed out to retain their shape and can be dried on a washing line. Definitely recommend it does what it says. Purchased large in men’s as I didn’t think the ladies would fit. The gloves I got fitted lovely and the heat from them is great. Nice gloves but the finish I think let them down. I had to sew in the ends of the cotton wool as they had been left unfinished. Nevertheless I like these gloves. These are a gift so haven't been used yet. The service was excellent, received the item the day after placing order. Cannot fault at all. Bought for my husband who suffers with really cold hands, he is thrilled with them. Within minutes his hands are warm and comfortable! Excellent product. A good size, fit & quality, but the fabric is too rough for me as I have eczema and very sore hands. I suspect it's the silver thread. 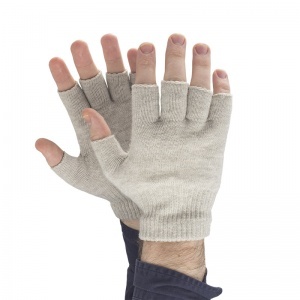 They may soften with wear or a gentle wash.
Bought these for my husband as he suffers from cold fingers,he says they are brilliant, his fingers aren’t cold when wearing them, just what he needed,have said about them to friends who suffer as well. I bought these for my wife who suffers with neuropathy problems following chemotherapy therefore her love of sewing is a real challenge. Once she had painstakingly stitched in all the loose ends of the fingerless gloves they were absolutely fine. This is the only fault and she reports that they keep her hands nice and warm whilst still allowing her to carry out all sorts of tasks whilst wearing them.